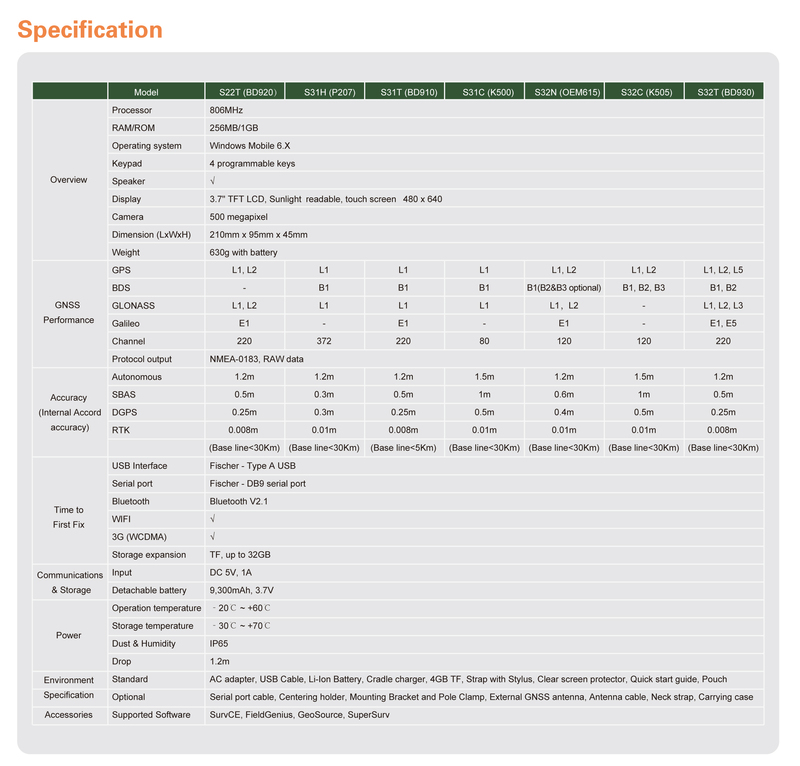 The S2/S3 Series RTK GNSS Receiver has an integrated GNSS receiving board,powerful CPU, high-speed connectivity and a fully rugged IP rating. This provides a complete solution for high-accuracy GIS applications in any environment. Designed for high-speed data communication and storage, the S2/S3 combines connectivity and large data storage capacity. The S2/S3 Series comes ready to work with application possibilities ranging from power, agriculture and geological industries to forestry, field service and GIS/Surveying.